--a person who undergoes severe or constant suffering: amartyr to severe headaches. --a person who seeks sympathy or attention by feigning orexaggerating pain, deprivation, etc. Moms called martyrs? What? Really? Is this new? Of course it's not new or news. Oh much has been made about moms complaining on Facebook about being well, um moms. People either love it or they love to complain about how those moms should be "grateful" or "quit complaining." I usually side with the moms that tell people to lighten up and if a mom needs to complain a little, let her (er, me) do it. Here's a great post from a great blog The Bearded Iris (for In the Powder Room) about "Facebitches" and mommy wars. But I see how easy it is to get from mom complainer to mom martyr. When your kids are babies you feel like a milk machine and so much of the time you are over-exhausted and overlooked. Well I thought that feeling went away as babies and kids got older. But it doesn't. 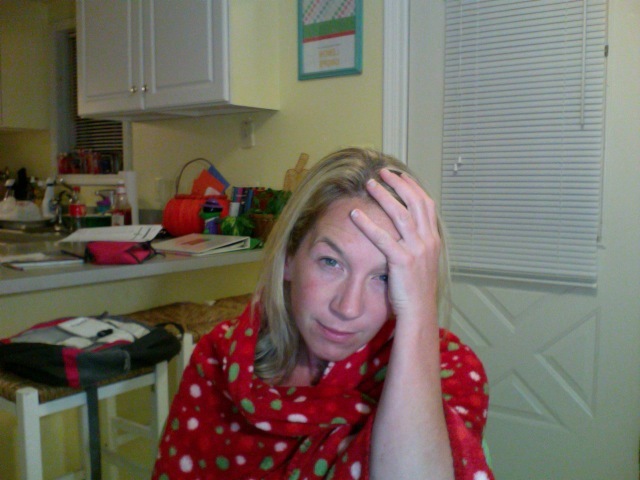 No, I'm not nursing anyone (thank god), but I am prepping meals and schedules and I am indeed still over-exhausted and overlooked. Waaaaah. I love my children, I love my life. Just yesterday, I wrote a post about how blessed I feel and how much I like my children. But every now and again I embrace my mama martyr and have a pity party. It's not a big party, I'm too tired for that anyway. Hope your hubby is taking good care of you!